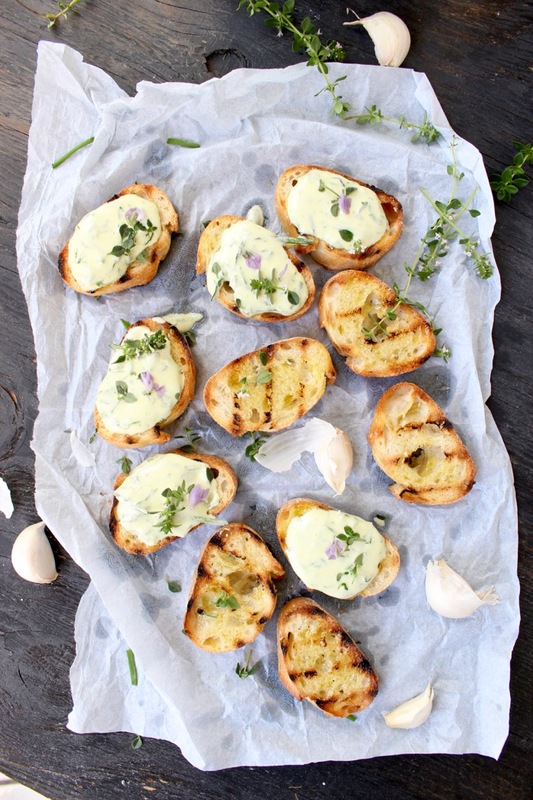 Easy, Goddess whipped goat cheese crostini appetizers with fresh herbs! 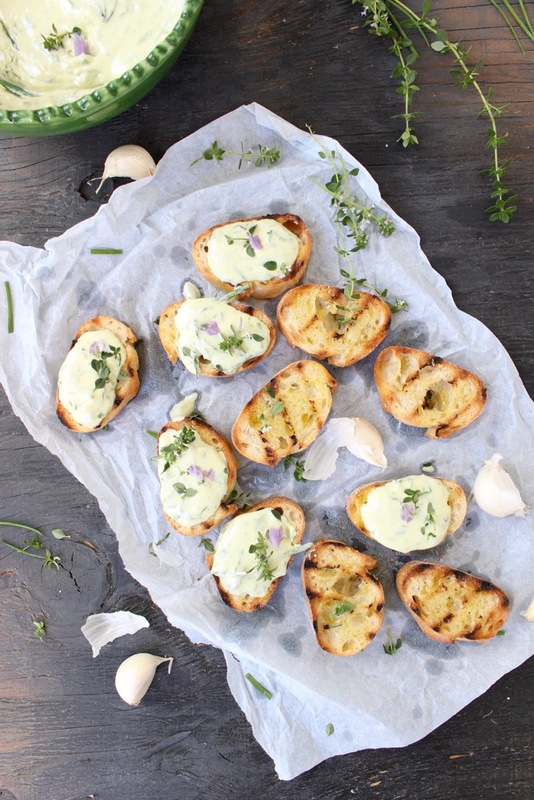 How to make crostini and bruschetta talk! 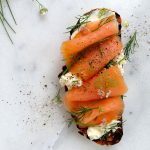 At the risk of being judged a bruschetta snob, I would like to reiterate the fact that crostini or bruschetta are not toast. 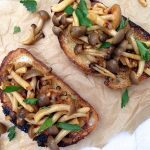 They are grilled pieces of bread, with a charred smoky exterior and soft interior, rubbed nicely with a garlic clove, brushed with olive oil and then topped with some goodies of your choice. I’m sure we can finally all agree on that right ? Forever and ever, Amen ! 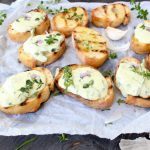 I used my cast iron griddle to quickly charr the crostini, then I whipped up some amazing creamy goat cheese with olive oil and herbs to use as a topping. 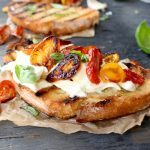 You could use it as a dip If you prefer, a spread for open faced tomato sandwiches, as centerpiece on an Antipasto platter or serve with your favorite tomato soup. 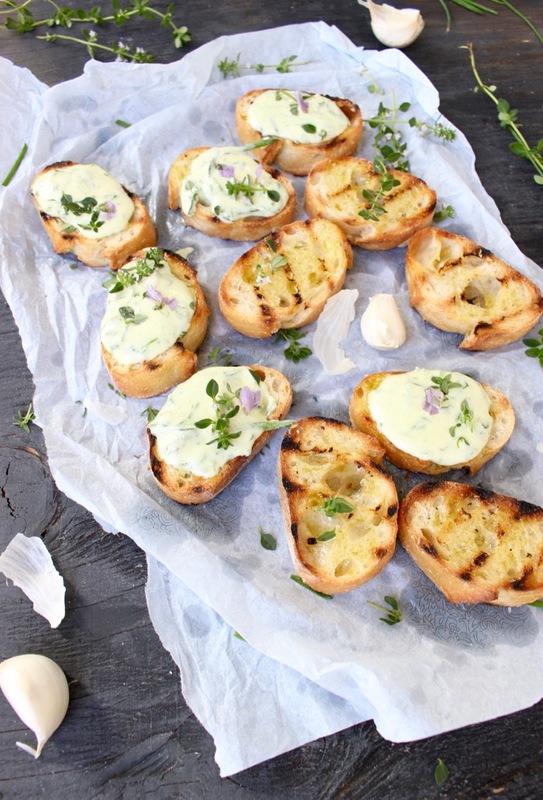 Goddess goat cheese crostini appetizers with whipped goat cheese & herbs! Add the goat cheese with 2 tablespoons of olive oil to the bowl of a mini food processor. Season with a pinch of sea salt and add the chives and thyme but reserving some for garnish. Process together until whipped, a couple of minutes. Transfer the whipped goat cheese to the refrigerator until ready to use. Heat up a cast iron grill pan or griddle on medium high flame. Slice the baguette into 3/4 inch slices. Add them to the hot grill pan and cook for about 1 minute on each side until nice charred grill marks form. 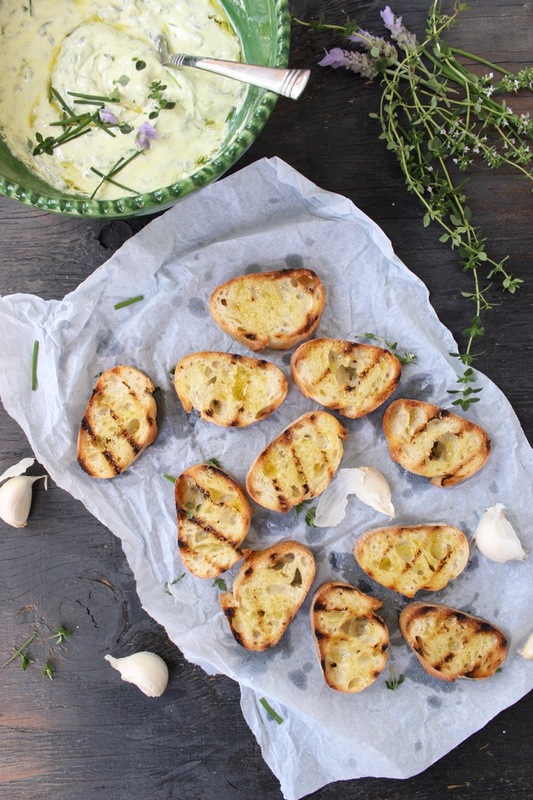 Use the garlic clove and rub one side of each of the grilled slices of bread to your liking. 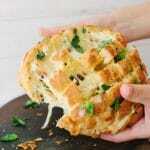 Gently brush with some olive oil and sprinkle with sea salt. 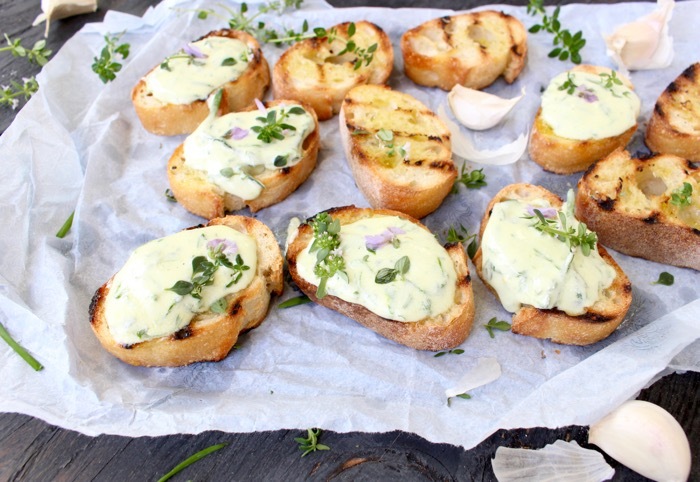 Scoop some of the whipped goat cheese on top of each of the crostini and garnish with the reserved herbs. 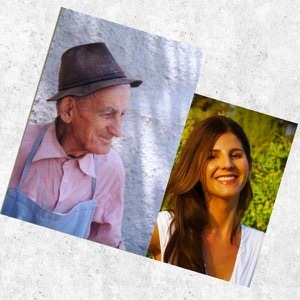 Serve promptly. 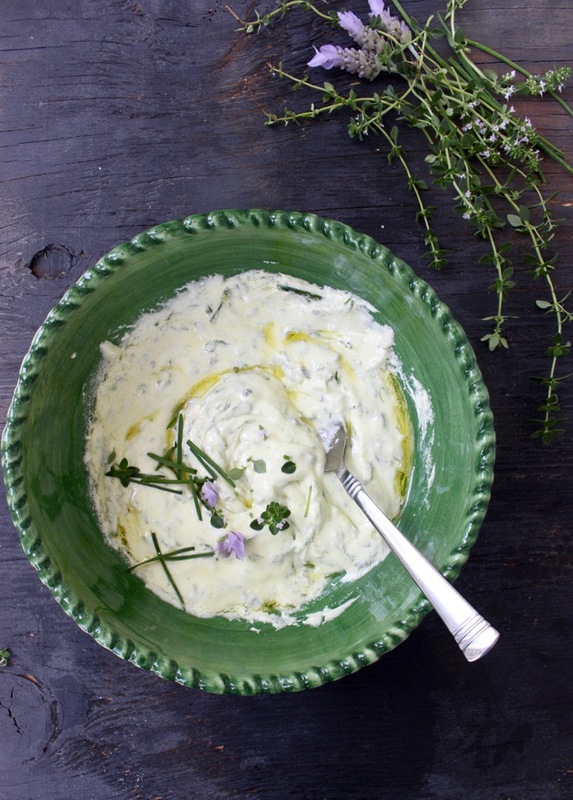 sriousely, 10 minutes is all you need to get this on the table !